Calling all foodies! If you’ve tired of the well-trodden dining scenes in bigger cities, it’s time to put this West Virginia dining destination on your radar. Tingle your tastebuds with farm-fresh creative cuisine and some of the most interesting drinks around in Lewisburg, WV. The best part? While you’re wining and dining, you’re not stuck in the middle of a concrete jungle— you’re right in the beautiful Mountain State, just steps from the breathtaking West Virginia outdoors. Want to know a little secret? The Mint Julep isn’t Kentucky’s creation. It’s The Greenbrier’s. It’s one of several culinary claims to fame for "America’s Resort," which is also renowned for its top-trained chefs, spring water and peaches. 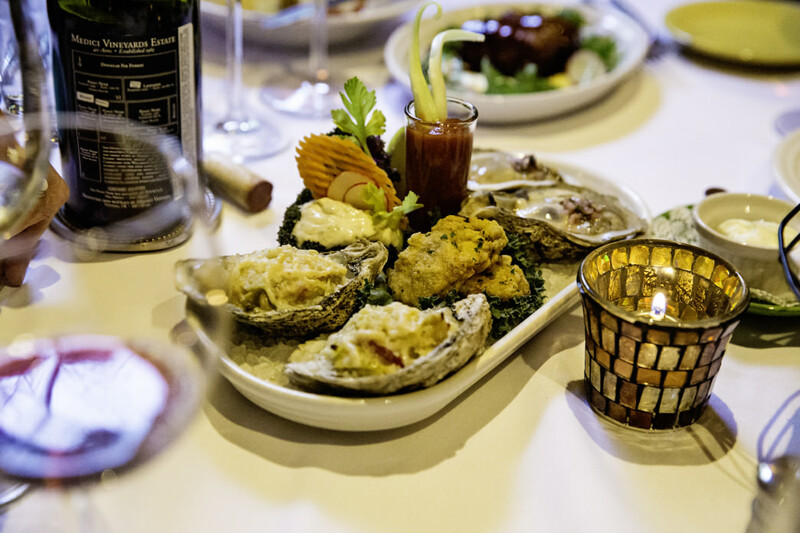 The full Dining Collection at The Greenbrier is nestled inside the upscale resort in White Sulphur Springs, with a full host of famed offerings. It’s is about as snazzy as it gets— from elegant spins on American classics on down to the fine gourmet coffee bar and artisanal ice creams. There’s a lavish dish for any craving you might ever have, all under one roof, and all meticulously crafted. If you’re looking for something cute, quaint and cozy, Stardust Cafe in Lewisburg is exactly that. 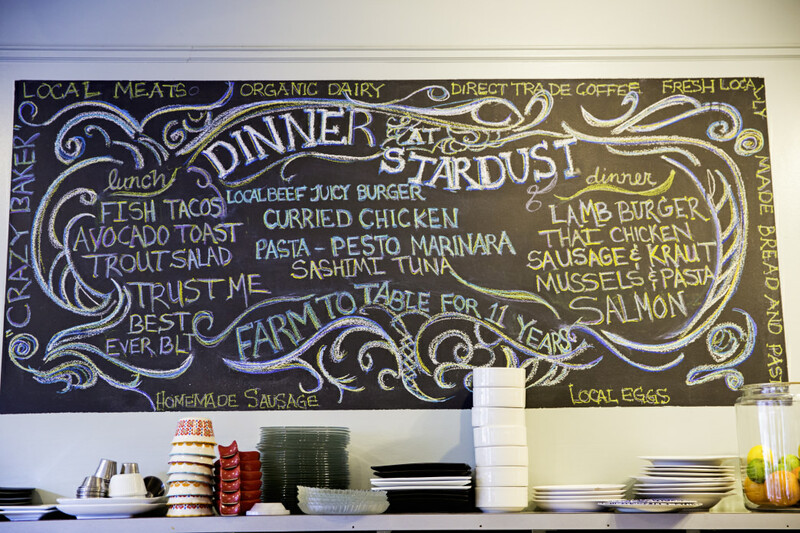 Stardust offers top-notch food made from the highest quality ingredients, like European butter, fresh local vegetables and organic beef. They craft the menu with organic, fair-trade, local and sustainably-farmed fare. Perhaps the most special thing about this place, which shines so well in its reviews, is its philosophy. They believe that their work is in partnership with their customers, and it shows from the moment you step through the front door. Seriously, how great is this name? While you might be tempted to check it out for that reason alone, it’s their culinary offerings that will keep you coming back time and time again. 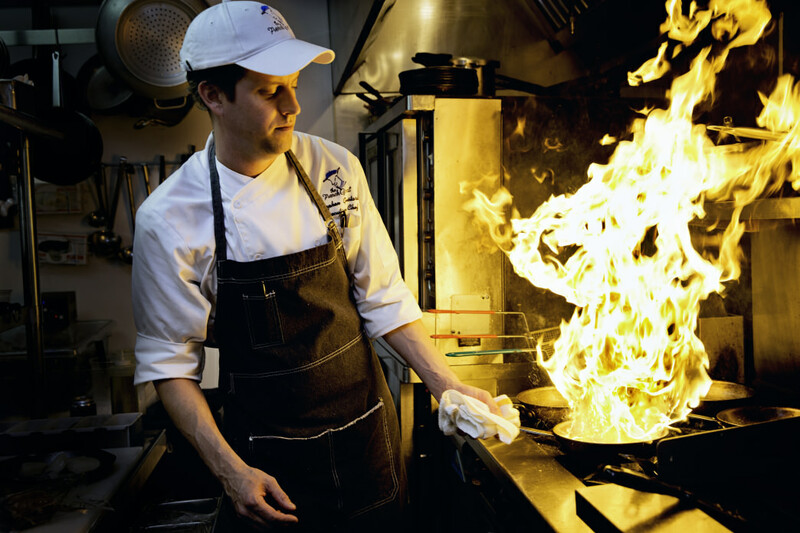 Led by Chef Stephen Gustard, The French Goat serves up authentic dishes from crispy duck confit to buttery escargot. It’s got the French bistro atmosphere to boot, tucked inside an inconspicuous white house in the heart of Lewisburg. Dine inside the walls of the beautifully constructed abode, or outside next to the water fountain and enjoy the weather a while as you savor a cheese or charcuterie selection. 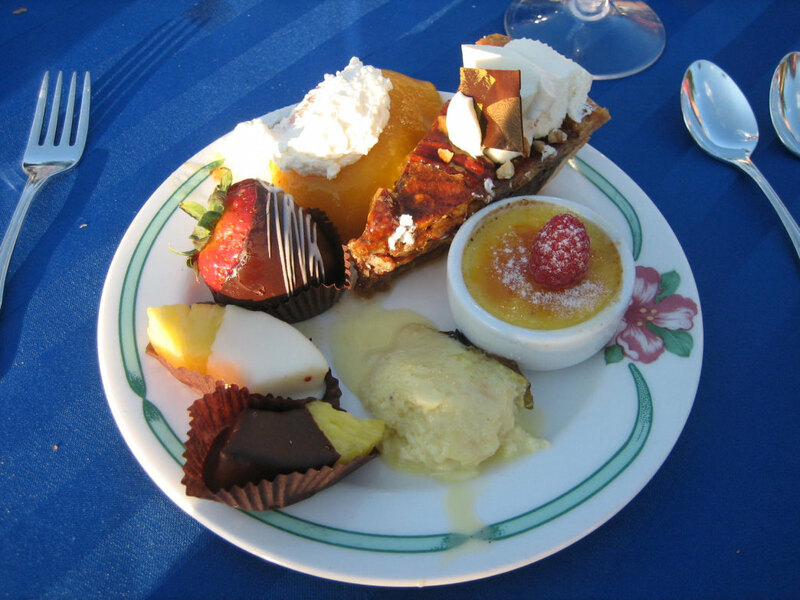 Either way, you’ll get a little taste of France in the Mountain State when you spend an evening at The French Goat. If you’re envisioning a cozy-yet-sophisticated cabin vibe for your culinary excursion in West Virginia, the Livery Tavern is it. The space and menu are a high-end reimagining of an 1800s tavern, with high-open ceilings, structures made from natural materials and decorations with earthy tones throughout. If you want to get a little cozy with the one you love, the Livery has plenty of secluded booths for a little canoodling, and a farm-to-table menu that will blow you away. Hill and Holler is much more laidback that most of the other spots on this list, so check it out for a super delicious, mega-simple and ultra-relaxed meal after a good ride or hike in the outdoors. 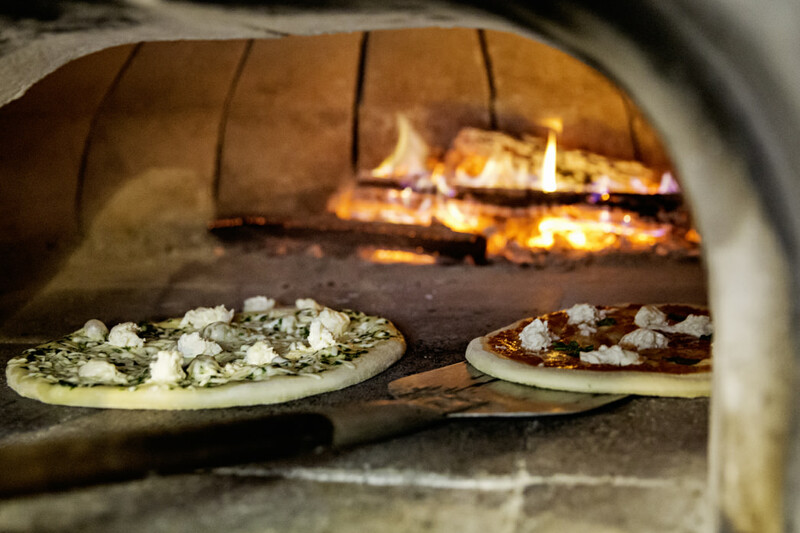 They’ve got Neapolitan pizzas and calzones, which they suggest you enjoy with only 2-3 toppings to preserve the integrity of their base flavor, and some awesome wines as well. While your pie is sizzling in the wood-fired oven, start with some fan-favorites: house-smoked wings or crab cakes topped with slaw and remoulade. 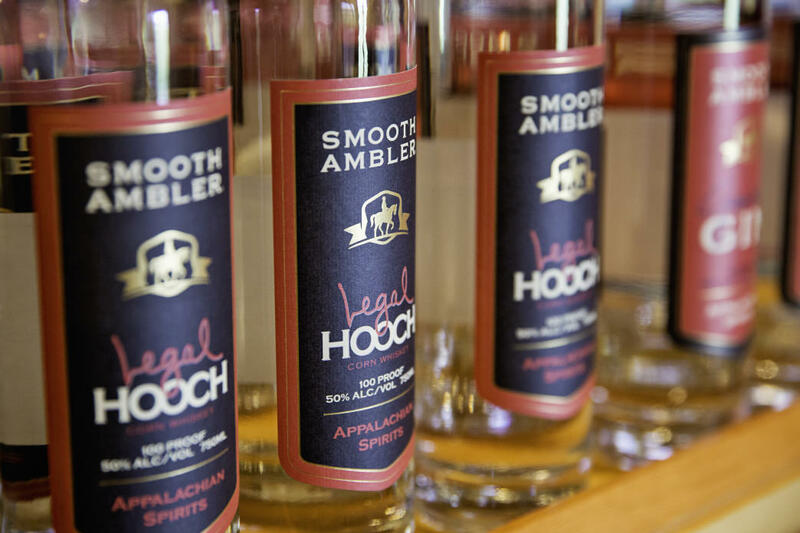 If you’re more into drinking your dinner than eating it, head on over to Smooth Ambler Spirits in Maxwelton. This place has a diverse lineup of award-winning beverages with a signature smooth finish, handcrafted from grain to glass. They will make you see spirits and cocktails in a whole new light. If you go, you have to give the Los Pantalones Oscuros a try— just don’t blame us if no drink ever compares for the rest of your life. With a slogan like "a taste of tradition," you know you’re going to get something good. Hawk Knob is known around West Virginia for its uniquely old-fashioned meads and ciders that they design for taste and quality in equal measure. They don’t sweeten the drinks at all, so they taste a lot different than other ciders and meads you’ll find in stores. Fun fact: They were the first cidery in the entire state. All of their delectable offerings are produced right there in the heart of the Greenbrier Valley, so if you’re looking for fresh and local, you’ve found it. 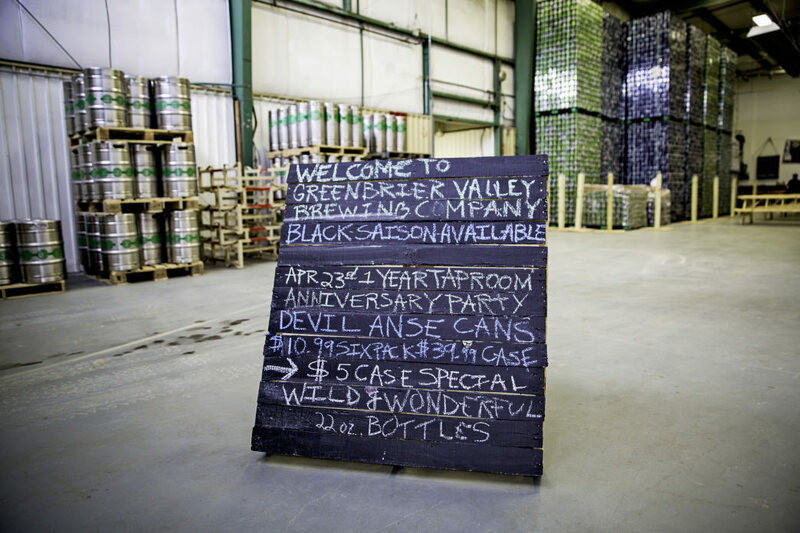 Also in the heart of the gorgeous Greenbrier Valley is the Greenbrier Valley Brewing Company— the place to go for locally brewed craft beers. 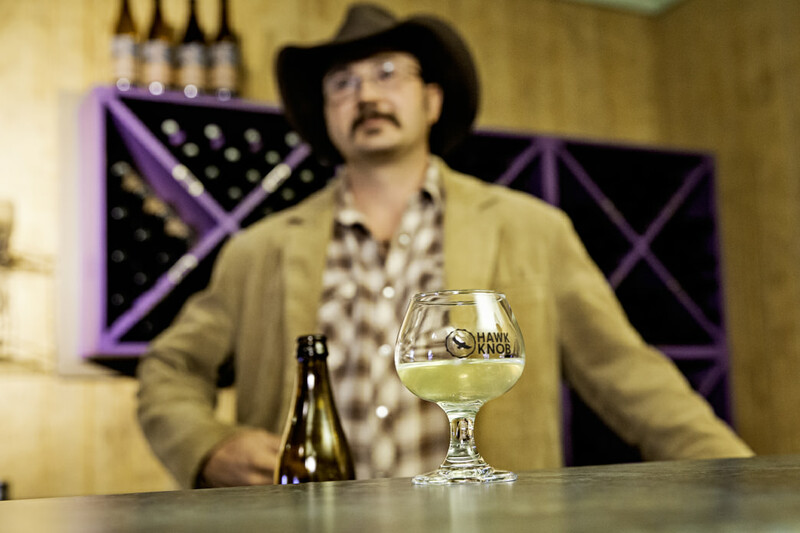 On a mission to introduce beer drinkers near and far to the "meaning behind Wild, Wonderful West Virginia" through their concoctions, all their brews are named after renowned aspects of West Virginia. Their Mothman black IPA is one of the most impressive examples of the style, but the brewery is always testing something new and creative in their ongoing seasonal/experimental series. A big part of their work is being eco-friendly, and they also strive to engage in the community around them. Look for a special crewmember— a cat named Citra, who is solely in charge of good vibes and pest control. Discover all the mountain flavor in Lewisburg.